Inventor Joe Iannello came up with an idea of how to easily clean the underside of a lawnmower and he developed a new product called the Spray–n-Mow. He designed it, he received United States Patent 7,628,003(PDF) for it, he got it manufactured and now he is marketing his own product and selling it. It wasn’t an easy road and he learned a lot of lessons along the way, and he would like to share those lessons with other inventors. 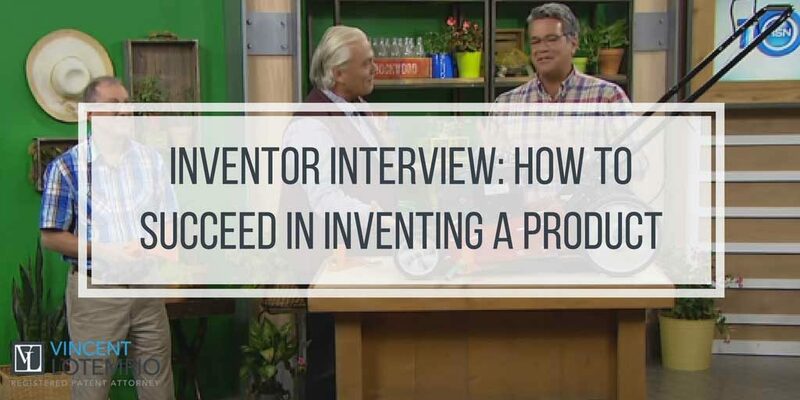 What does an inventor need to do to get a product to market? You just have to be patient and believe in your product. If you don’t believe in your product it is not going to get anywhere. You cannot be afraid to put up the money and to put in a lot of effort… otherwise you will go nowhere. How are you attempting to market your product? I have reached out to a professional marketer that has certain corporate contacts. In order to get your product into a big company you have to have those corporate buyers and corporate contacts to sell the product. An independent inventor can’t just call any company and say hey I have a product I want to sell to you. You need to have that corporate contact, because most buyers of these big companies won’t even talk to independent inventor on the phone. You can try to get those contacts by filling out vendor applications at corporate web pages. There are people in the marketing business that do it all the time but that doesn’t necessarily mean that you’re going to get your foot in the door. These vendor applications ask in depth questions with regard to your background and your ability to bring a product to market. Once those applications are filled out you have to wait for the vendors to contact you. There are many elements which go into the reasoning of whether they contact you. Is the timing right? I believe that the market itself is always an issue because if the economy is bad it may be difficult for a company to take on new products in a slow economy. Secondly, most products are seasonal and the marketing begins months before the season. What type of company do you use to market your product? I use a company called Patents to Market. I did a profile and compared them with six other companies. I was looking at what his background was what is experience was. The guy who runs this thing is actually an attorney he’s got a track record of all these different companies he’s worked with in the past. So what makes a good marketing company? You’re going to find once you get a patent you are going to be flooded by mail from many different marketing companies. I try to avoid those that are just blowing smoke that really don’t have the experience and really don’t have the contacts and they are telling you something that they really can’t do. Just because they market some other product doesn’t mean you’re going be able to market my product. I was looking for companies that have established corporate contacts, that have established a relationship with buyers. What are some of the lessons that you learned that you would like to pass on the other inventors? Take control of your own destiny. Believe in yourself! Have faith that you will succeed. But you have to teach yourself every part of the business from marketing, to distribution, to manufacturing. Don’t ever give up. Keep going! Keep plugging! Meet as many people as you can. Keep networking to find people that can help you do things that you can’t do or are able to teach you how it should be done. Every person that I met with along the way that helped me bring my idea to reality I would recommend to a new inventor. I have a personal rapport with every single one of these people. I physically went to 10 different manufactures to find someone to manufacture my product. I found Val Tech Holdings, Inc. who put their heart and soul into manufacturing my product. Everyone in the company from the president down communicated with me and they made the best mold to make the best product. They also informed me of all the pitfalls that every inventor has when trying to get their product to market, even after it’s manufactured. They were very honest with me. You have to find someone that can manufacture your product that you can trust, you can work with and that won’t look down on you. It is not easy to get in front of the president or the vice present of a company, most manufacturing companies won’t help you the way this company actually did. How did you educate yourself as far how to make a mold and what you should expect from your mold? I purchased an injection mold. I wanted a mold that would make a better product and last longer and produce a greater number of products before it wears out. And Val Tech Holdings, Inc. created a high quality mold. It might’ve cost me a little bit more money but in the long run it will save money. 3) Design – CAD Drawing – 3Dem. – 6Dem.